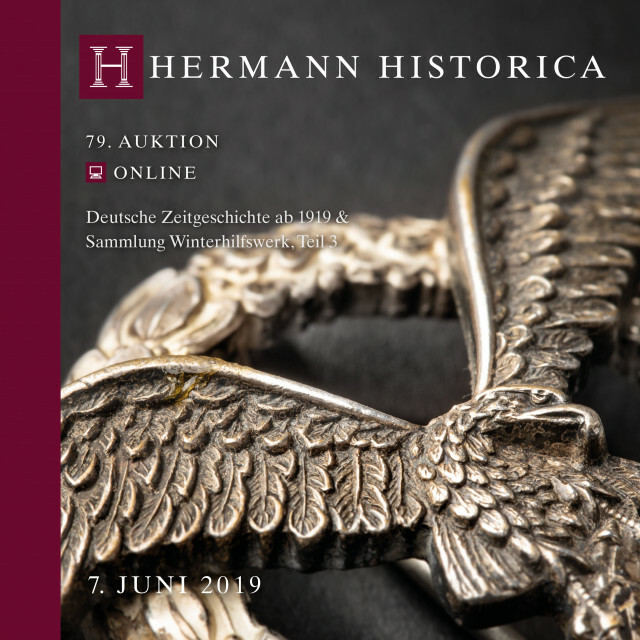 Our next online auction "German Contemporary History & Winterhilfswerk Part 3" is made up of 424 lots. The descriptions in the online and the printed catalogues are in German. The printed catalogue has approximately 156 glossy pages in the format of 21 x 21 cm. Although our high quality, soft cover catalogue features coloured illustrations of every lot, you will find even more photographs and close-ups of the objects on the internet. The online catalogue will be be available from the beginning of May. PLEASE NOTE: since this auction is an online-only auction, it is neither possible to place floor bids nor phone bids.